Now visible in almost every corner of Bahrain, SADAD payment gateways has seen massive success since its inception in 2010. 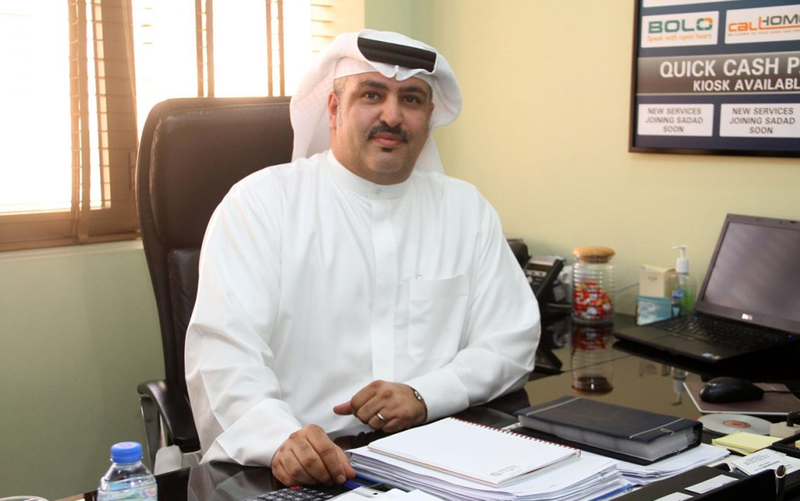 SADAD CEO Abdulla Salman Al Ghatamshares his story with Bahrain This Week in developing the unique service and transforming it to fill an essential gap in the market. The service has made it easier for customers to make their bill payments easy, secure and fast. Tell us briefly about yourself and your association with SADAD. I started my career in banking and saw that Europe was very advanced in terms of kiosk payment channels. So it was a passion to improve Bahrain’s payment sector and to provide the people easy access to the utility and monthly telecom bill payments. When and how was SADAD established? SADAD was established in 2010 and started operations in 2011 as a result of a partnership between foreign and local investors. We saw the gap in this market, and here we are with a successful business case implemented well. How exactly does SADAD work? We are categorized as Ancillary Service Providers by the Central Bank of Bahrain. We are authorized to collect payments from the customer and distribute it towards third-party service providers under the regulation of Central Bank of Bahrain. What have been the initial challenges and how were they overcome? I believe that the success of any organization lies over the efforts of every individual working as a great team, and this exactly was the success story of SADAD. How is SADAD different from other online payment gateways? Online payment gateways offer payment through non-cash options. However, we offer a unique service to pay using cash. Any significant landmarks achieved by SADAD in the recent past? We started the operations using few kiosks in the market and now we are present in almost every corner of the island with 750+ kiosks machines. We recently integrated with Batelco postpaid, that completed our portfolio of services to introduce payments over all products of every telecom operator in Bahrain. What are the future projects on the pipeline? We are developing our app that already made a huge success but more features are going to be added. We plan to add some more government payments and the rest is a surprise! Is Bahrain at par with other countries of the world when it comes to global standards maintained in online payment gateways? In some ways, yes. This is the reason why this country is so secure with payments considering the standards set by the Central Bank of Bahrain. We are progressing, but in a secure way. I think this is a good way to proceed. What is your message to the people of Bahrain and users of SADAD? We are constantly working on improving our services and we take feedback and customer support very seriously. Please contact us if you think we are lacking with something and we will work on it according to its feasibility.